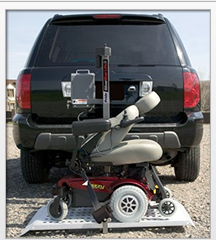 Universal Accessibility is Bloomfield, MI's foremost authority on lifts for those who need assistance moving from one level to another in their home or business or transporting their mobility equipment. 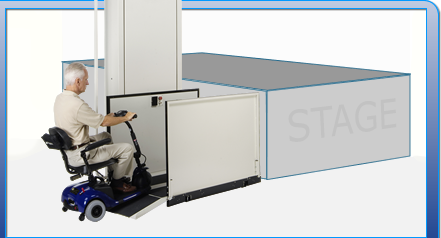 Our Stair Lifts assist those with difficulty climbing stairs. 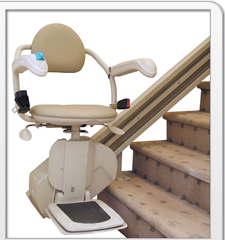 Areas of your home or business that were previously inaccessible are now easily obtained with the addition of a stairlift. 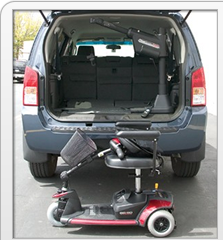 For businesses, homes or community centers that may need a lift for people in wheelchairs, we have Wheelchair Elevator Lifts which are highly customizable to fit almost any need that you may require. Our newest product, the AmeriGlide Dumbwaiter, is a great addition if you are constantly moving items from one floor to another. In addition to moving food from floor to floor as it is traditionally known to be used, it is also perfect for moving supplies or laundry. Soon we will also be featuring a product that we are very excited about; the AmeriGlide Elite Residential Elevator. 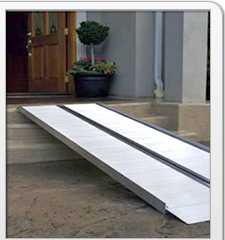 Many families are finding that it is easier and necessary to build up instead of out and the addition of an elevator is a perfect match when climbing steps isn't a welcomed thing for everyone in the house.